Humor and digs fly when two sisters attempt to win a beauty pageant with an Accidental Beauty Queen. Charlotte is resigned to never being the pretty sister. Her sister, Ginny, has followed in their mother’s footsteps in the pageant world. Charlotte followed in their father’s footsteps by being a reader and a primary school librarian. There is no need for bedazzling, hair extensions or even makeup in Charlotte’s world. When Ginny invites Charlotte to share her hotel room during the Miss American Treasure contest in Orlando Florida, Charlotte is overjoyed for the chance to visit the Harry Potter theme park. However, the second evening, Ginny has an allergic reaction that swells her face threefold. Ginny convinces Charlotte to pretend to be her in the prelims because the two sisters are (wait for it…) identical twins. The author does a great job making light of the easy comparison to Miss Congeniality. The makeover scenes are hilarious. When an attractive man sees the real Charlotte under all the glam, things get all Pride and Prejudicey. It is a great mashup—both literary and chick lit at the same time. 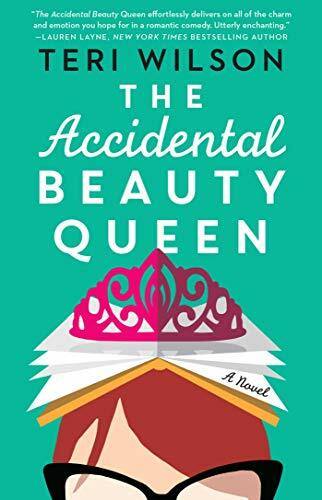 The Accidental Beauty Queen is highly recommended to anyone looking for a fun happy story. 5 stars! Thanks to Gallery Books and NetGalley for an advance copy in exchange for an honest review.